Snake River Net Company makes handmade wood nets. These nets are crafted from exotic hardwoods from around the world. 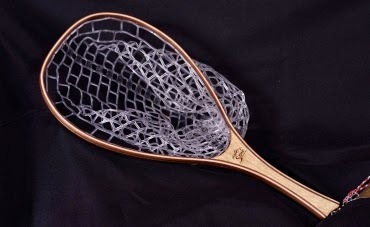 These nets are not only beautiful but constructed with the finest quality to last a lifetime. Snake River Net Company started crafting nets in 2011 and has developed a design that is not only beautiful, but functional. The craftsman behind these beautiful nets is a man by the name of Mike Avery. He has such a gift for craftsmanship... and is truly one of the nicest guys I have ever met. I honestly am so impressed with the beauty of the net.